The best American film of 2011 may well turn out to be one that never played at a theater near you at all. 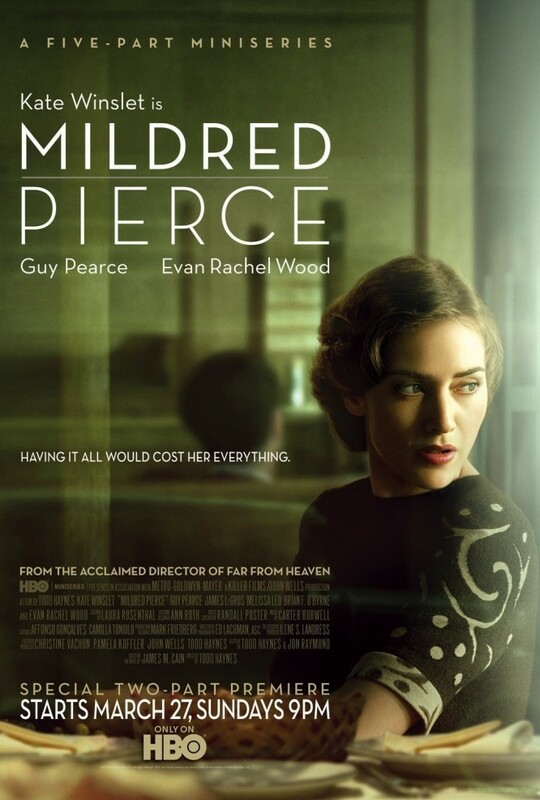 Instead, writer/director Todd Haynes’ ambitious adaptation of James M. Cain’s 1941 novel Mildred Pierce has headed straight to your living room, premiering as a five and a half hour HBO miniseries but packed with enough filmmaking smarts to help further erode the increasingly fine line between cinema and television. Broadcast over the past three consecutive Sunday evenings, Haynes’ movie (and yes I have no problem calling it that) is now available “on demand” and will no doubt be released later in the year in DVD and Blu-ray editions (the way I suspect most people experience movies nowadays anyway). It will also most likely be prominently featured in both of my Best of 2011 lists (“Films” and “Home Video Releases”) at the end of the year. So, while pilgrim-hatted purists have been apoplectic for a while that movies have more and more come to resemble television (even movies shot on film today exist as purely digital data at some point in post-production), my response is to look at the glass as half full: television has also come closer to resembling the movies. Mildred Pierce tells the story of a newly divorced single mother in 1930s southern California who waits tables to make ends meet, much to the embarrassment of her class-conscious children. Her increasingly lucrative side business of making pies encourages her to attempt to open her own restaurant, the eventual success of which has the unintended effect of driving a further wedge of resentment between her and her older daughter Veda. Eschewing the murder subplot that was added to Michael Curtiz’s justly celebrated 1945 film version (and that was absent from Cain’s social realist novel, which I haven’t read), Haynes’ movie predictably draws more on classic Hollywood melodrama than film noir. However, this is not the colorful, 1950s Douglas Sirk-style melodrama that Haynes already mined in Far From Heaven. The chief reference point here would appear to be Max Ophuls’ The Reckless Moment, a film that Haynes has repeatedly cited as one of his favorites. Much like Ophuls did with his leading lady Joan Bennett, Haynes envelops Winslet in a chilly mise-en-scene consisting of vertical lines and frames-within-frames to continually reinforce the idea that Mildred, even when professionally triumphant, is a prisoner inside of her own home. Mike Wilmington, in an otherwise perceptive review, has criticized Haynes for not showing more “directorial style and flash” but, since Haynes already made that movie with Heaven, that’s a bit like criticizing Bob Dylan for not making John Wesley Harding sound more like Blonde on Blonde. The very notion of “television mise-en-scene,” which would have been an oxymoron just a few years ago, is symptomatic of our times. One of the most interesting byproducts of the boom in popularity of widescreen televisions in recent years has been the concurrent rise in popularity – in television shows and miniseries alike – of what might be termed old-school film aesthetics (such as long shots, widescreen compositions and a 360 degree shooting space); and there is thankfully no longer such a relentless focus on the use of alternating close-ups that seemed the de rigueur television style of the 1990s. One case in point is Olivier Assayas’ breakthrough Carlos, a miniseries originally made for French television that became the critical darling of the 2010 Cannes Film Festival. It may have premiered on television but Assayas’ electrifying political gangster biopic contained an unforgettable and exquisitely cinematic 90 minute scene of Ilich Ramirez Sanchez’s notorious 1975 terrorist raid on the OPEC headquarters in Vienna. Masterfully combining ‘Scope framing with nervy handheld camera work and brisk cutting that crucially remained spatially logical, this extended sequence has proven to be the definitive “action movie” set piece of our time. Further muddying the waters is the fact that respected film auteurs such as Assayas and Haynes, as well as actors known primarily for their “big screen” work (such as recent Oscar winner Kate Winslet and the formidable Guy Pearce), are turning to the “small screen” in an age when movie studios are seen as increasingly risk-averse and cable television is perceived as picking up the slack in delivering entertainment deemed “edgy” or even merely aimed at an adult audience. Gone are the days when a movie star of the caliber of Charlie Sheen turning to television automatically signaled the beginning of a career in decline. A huge benefit for filmmakers in this era of the new and improved T.V. movie is the ability to have a more expansive running time than what can be achieved in a traditional movie. This allows the makers of a miniseries to create a highly elaborate, overarching narrative structure without necessarily falling victim to the aimless, meandering quality that seems to become the sad fate of nearly every long-running television series. (21st century television is a medium that a serial-minded film director like Louis Feuillade, not to mention the young Jacques Rivette, would have loved.) This more novelistic structure means Haynes’ Mildred Pierce can consequently go places that Michael Curtiz could never have dreamed taking his 111 minute version, fully justifying its five and a half hours without ever wearing out its welcome. Our feeling that we have come to truly know characters like Mildred and Veda is much stronger in the miniseries, which makes the growing conflict between them more acutely painful. Technically, Mildred Pierce is a tour-de-force, featuring 1930s locations and costumes rendered in impeccable period detail, gorgeous but low-key cinematography by Ed Lachmann (doing essentially the opposite of the baroque work he performed on earlier Haynes collaborations like Far From Heaven and I’m Not There) and a gorgeous but mournful score by the Coen brothers’ regular composer Carter Burwell. But for all of its estimable formal qualities, this film finally belongs to the actors, more so than any of Haynes’ previous work – with Winslet and Evan Rachel Wood (as Veda) tearing up the glass screen in the most heavy-duty dramatic parts. 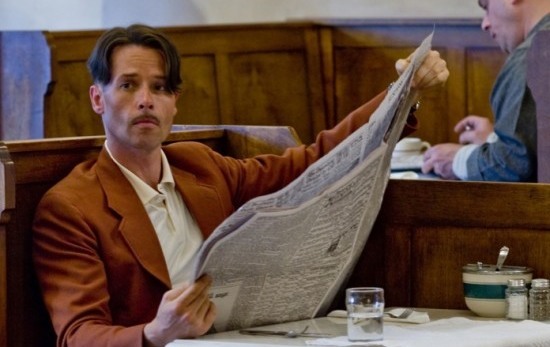 There is plenty of acting firepower in the supporting roles too, namely by the perennially underrated and underused Guy Pearce (looking and sounding exactly as if he stepped out of a Hollywood movie from the 1930s) and the suddenly hot Melissa Leo as Mildred’s new boyfriend and best friend respectively. If contemporary Hollywood could serve up even a half-dozen theatrical films each year as intelligent and well-crafted as Mildred Pierce, we’d be entering a new golden age of American cinema. But they can’t and we ain’t, so for the time being let’s all be grateful for television.